Like much of the country, I've been tracking events in Baltimore following the death of Freddie Gray in police custody. A few days ago, April 30, prior to the arrest of several officers for that death, Alisyn Camerota, news anchor for CNN's "New Day" interviewed Marc Morial, former mayor New Orleans, son of another former mayor, and presently head of the National Urban League. Focusing beyond the immediate crisis, Mr. Morial addressed some of the ongoing root causes of dissatisfaction and unrest in Baltimore's African American community: "[I]n post-recession America and as the recovery's brought jobs to the American mainstream, inner cities are being left behind. The joblessness levels are far too high, particularly among young men and young men of color. And these issues, combined with friction and police misconduct, are a dangerous mix for America's urban communities. And it's in Baltimore, but this is a challenge of the nation." By way of background, Camerota cited some disturbing statistics emphasizing Mr. Morial's points. "The poverty rate in Baltimore is 24 percent. The unemployment rate for black men in Baltimore between the ages of 20 and 24 is 37 percent. ... Now, compare that to the national average, which is the unemployment rate is 5.5 percent right now." The website BlackDemographics.com sheds additional light on the plight of African American poverty nationwide: "According to the 2012 U.S. Census Bureau American Community Survey (ACS), the poverty rate for all African Americans in 2012 was 28.1 percent, which is an increase from 25.5 percent in 2005. Actually, the poverty rate increased between 2005 and 2012 for every demographic of African Americans except those ages 65 and over who experienced a decrease from 21.2 percent to 19 percent. Black families with children under 18 headed by a single mother have the highest rate of poverty at 47.5 percent." Source: BlackDemographics.com analysis of U.S. Census Bureau 2012 ACS Report. These figures have me thinking about the administration, which purports to be concerned about the plight of Americans at both the bottom and middle of the economic pyramid. You can't tell it from their immigration programs — well over seven million work authorizations have been given in the past several years, many hundreds of thousands of them to illegal aliens who have been beneficiaries of one form or another of "executive action". The vast majority of aliens receiving those work permits are unskilled labor, which puts them into direct competition with the bottom rung of American workers, often black Americans, who are already struggling to survive. And now the administration is pushing Congress to fast-track approval for a trade agreement that would shred what's left of Congress's already tattered control over immigration, because buried in that agreement is a poison pill. According to NumbersUSA, "Congress will soon take up 'fast track' trade promotion authority legislation that would allow President Obama to submit trade agreements to Congress for a simple-majority vote without being subject to amendment. If passed, the first likely trade deal to come up is the Trans-Pacific Partnership, which reportedly includes guestworker provisions Congress could not change." Just what African Americans and others who are unemployed or underemployed need, right? A new guestworker program to permit aliens to take jobs at a rate that undercuts decent wages and benefits for the citizenry. What's wrong with this picture? One would think, given the plight of African Americans — which Mr. Morial is clearly aware of — that the National Urban League and other responsible organizations would be at the forefront of efforts to object to immigration policies and programs of the administration that so obviously undercut the well-being of those they represent. Apparently not so. In January 2013, Mr. Morial was interviewed by Andrea Mitchell of NBC about the now-defunct Gang of Eight omnibus immigration bill. He called it "a good start ... a serious start and a serious effort at a bipartisan solution to the problem of immigration in the nation." 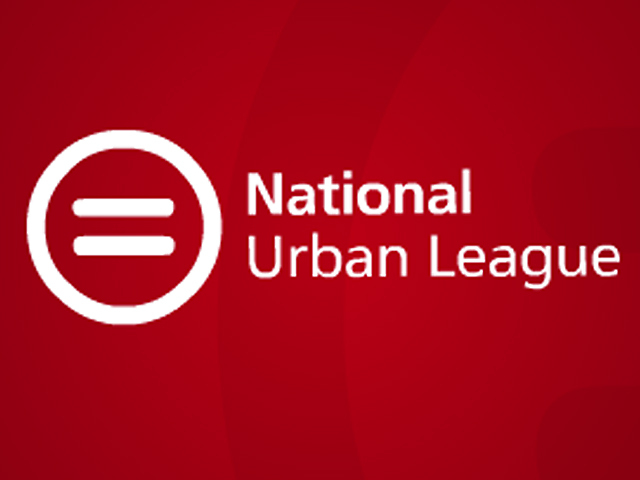 In fact, a check of the National Urban League's website quickly shows that the organization officially endorses the multiplicity of immigration executive actions taken by the administration, many of which are now blocked by a restraining order while federal appellate courts consider whether they are legal or constitutional. Go figure. Have they forgotten their core constituency?